Old, clunky POS systems are out. New, nimble, sleek and extra-secure systems are in, and customized for retailers on a whole new level. 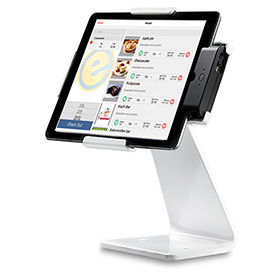 eMobilePOS partner, PowaPOS, is one company that has successfully built a modern, turnkey POS solution around the tablet, and made it an excellent choice for retail and hospitality businesses. The PowaPOS T25 system paired with eMobilePOS software is available for all three leading platforms, including Android, iOS, and Windows. 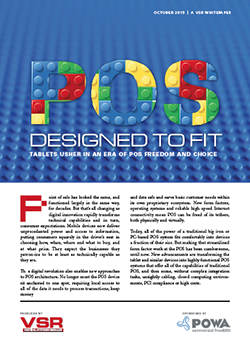 The VSR Magazine and PowaPOS white paper discusses the new point-of-sale landscape and the benefits of the new tablet-based POS systems. Matt Inan of eMobilePOS is sharing the software developer’s view and what he is looking for in a hardware solution. This Canadian IT buying consortium brought some 260+ member organizations selling various IT solutions to this event. There was a great deal of interest in eMobilePOS as legacy solutions are too costly and inherently complex to deploy. The easy-to-sell and deploy nature of eMobilePOS was a great draw for these resellers looking for cost-effective, simple to use, and robust POS system. 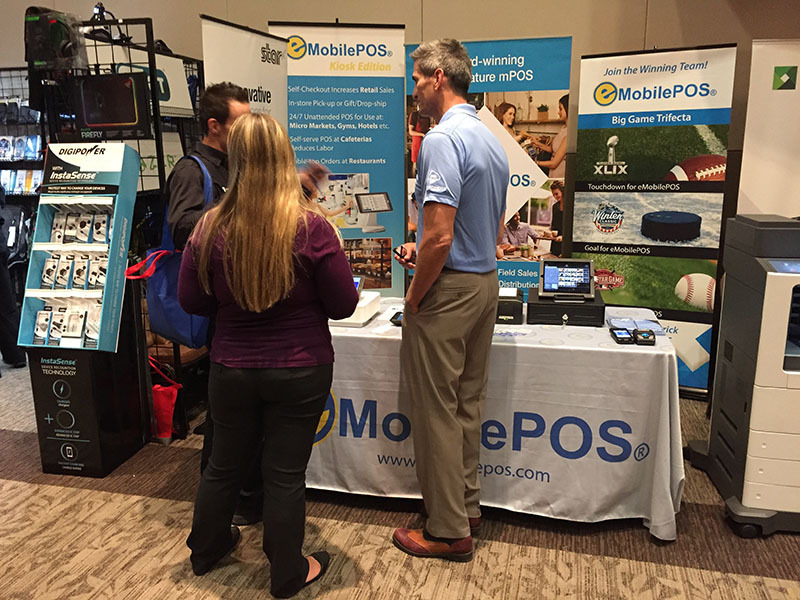 eMobilePOS sponsors of the Retail Pro Global Conference in San Fransisco October 16-18,will demonstrate the “key to mobility” for Retail Pro 8 and 9 users, enabling mobile POS from anywhere your business takes you. It provides full integration with Retail Pro and supports all three leading platforms, including Apple, Android, and Windows. Come to the eMobilePOS booth to learn more how your business can leverage from this solution. Click here to learn more about Retail Pro 2015 Global Conference. 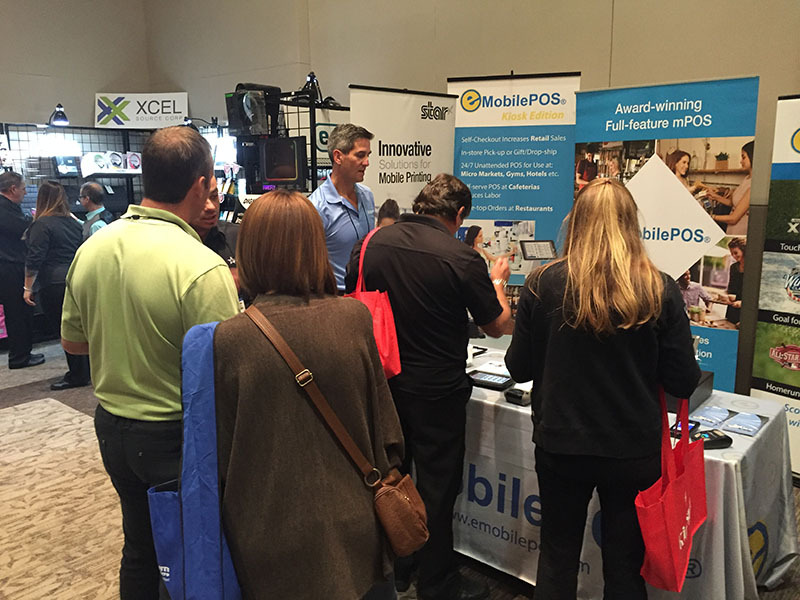 FORT LAUDERDALE, Fla. — Sept. 8, 2015— e-Nabler Corp., developer of the award-winning mobile POS software eMobilePOS®, today announced a partnership with Partner Tech Corporation, a leading manufacturer of PC-based, open architecture POS terminals, mobile products and peripherals. 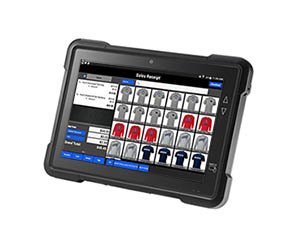 eMobilePOS has certifi ed three of Partner Tech’s Android-based POS solutions, including the rugged seven-inch EM-70 tablet, the 10-inch EM-100 tablet and the all-in-one POS PAT-100 terminal, which has a built-in printer, credit card reader and customer-facing display. All three devices can be paired with chip and PIN readers to process EMV-compliant payments. The certification process ensures that the hardware and software work seamlessly together and that the hardware works with other peripherals that have been certified by eMobilePOS, providing merchants a turnkey solution that is easy to install and use. 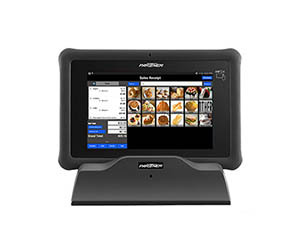 Some of the target markets for the eMobilePOS/Partner Tech POS solution are inline retail stores, specialty stores, merchandise kiosks, pop-up stores, quick service restaurants, coffee shops, cafeterias, bakeries, frozen yogurt shops, and concession stands in theaters and arenas. Please contact eMobilePOS or Partner Tech for more details or see the solution demonstrated at VARTECH, September 14-18 in CocoCay. The complete solution is available through Bluestar. Partner Tech is one of the most trusted names for POS hardware and support services for retail and hospitality. 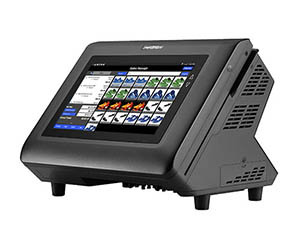 Partner Tech designs, manufactures and offers solutions including POS terminals, printers, scanners, mobile POS terminals, tablets, handheld all-in-one terminals, and a wide array of peripherals. 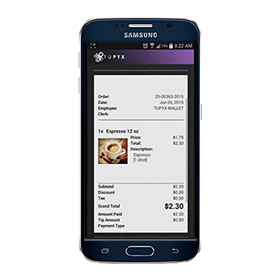 It is Partner Tech’s goal to provide customers with a complete solution for their point of sale needs. Partner Tech is a global company with offices and partners in over 60 countries. The company’s ISO 9001-certified facilities ensure that the manufacturing process of each product meets the highest quality and reliability standard requirements. Please visit our web site at www.partnertechcorp.com to learn more about Partner Tech and our award winning solutions. eMobilePOS is now available for Windows 8.1/10 Store and Windows Phone and can be downloaded from the Microsoft App Store. With this addition, eMobilePOS now supports all three leading platforms, including Apple iOS, Android and Windows, providing customers the freedom of choice. eMobilePOS joins the Bluestar team for the CocoCay cruise as one of the sponsors of VARTECH 2015, September 14-18. From educational workshops, solution sessions, and hands on demonstrations, attendees will learn everything they need to succeed in the world of I.T. 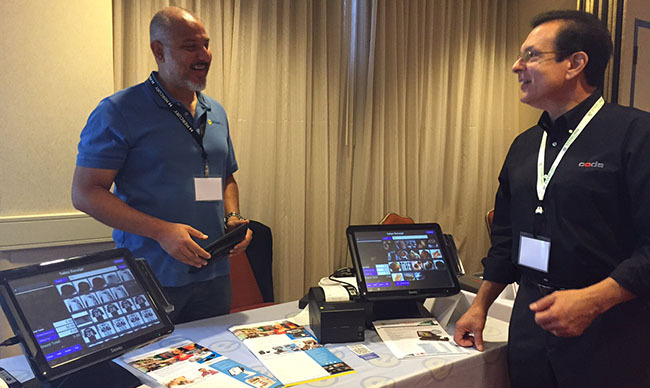 eMobilePOS will demonstrate its versatile, next-generation POS system, designed for tablets and handhelds, running Android, iOS, or Windows. In addition, the company will show the benefits of Tupyx, which is a customer engagement platform with features such as digital wallet, customer loyalty program, and remote/in-seat ordering. 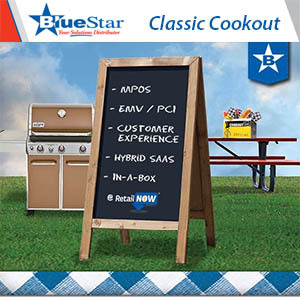 Join eMobilePOS table at the BlueStar classic cookout at the RSPA RetailNow Show and enjoy good food, games, fun & networking. 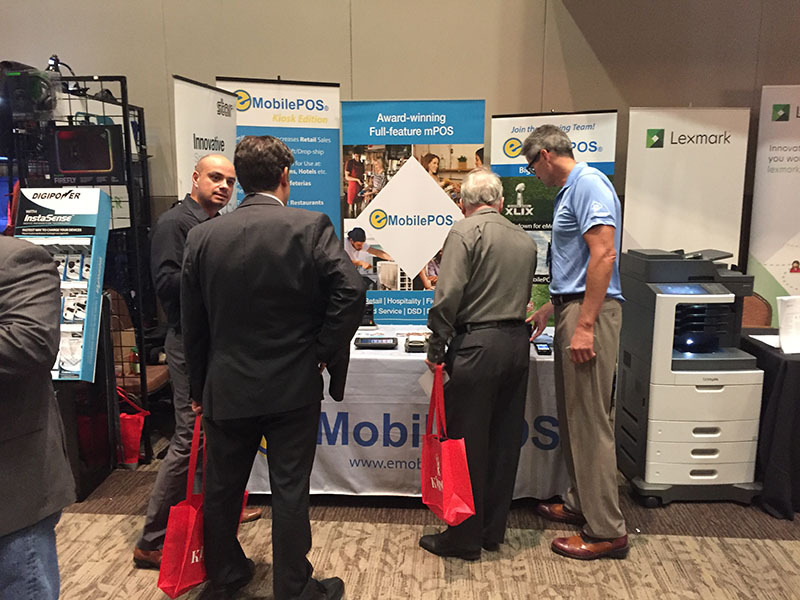 Visit booth 703 for a chance to win one of few mobile POS demo units available and learn more about the next generation POS.  Join eMobilePOS table at the BlueStar classic cookout at the RSPA RetailNow Show and enjoy good food, games, fun & networking. Register now! Space is limited! eMobilePOS is now available for all three platforms, providing the freedom of choice. VIsit booth 703 to see how eMobilePOS works on all platforms. Transforms the iPad into an easy-to-use, interactive self service kiosk. Place orders, select add-ons and modifiers, apply coupons, earn and redeem rewards, and pay−in a few simple steps. A complete m-commerce and remote customer engagement platform featuring e-wallet, gift cards, rewards program as well mobile ordering and payments with full integration to the POS system.